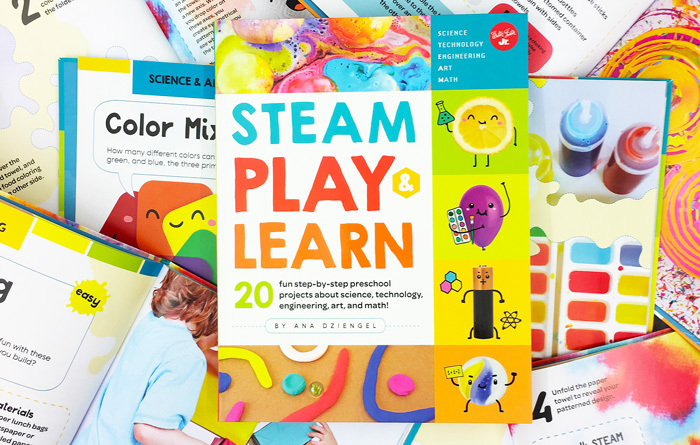 The first activity in the first chapter of your very first book of kids crafts and creative projects should be none other than how to make playdough. Am I right? 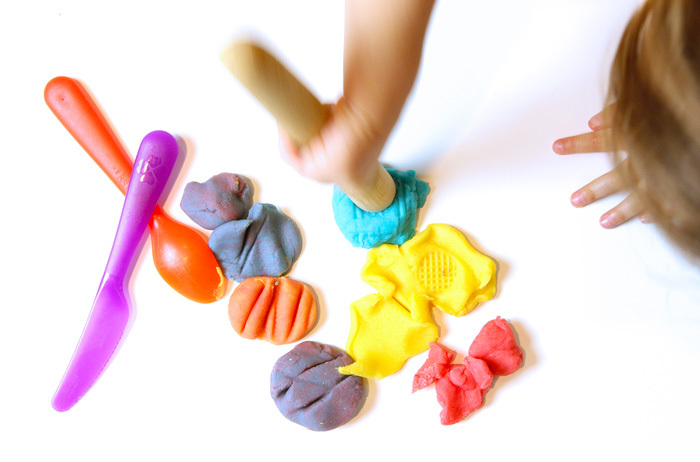 Is there nothing more wonderful than colored squishy pliable dough? 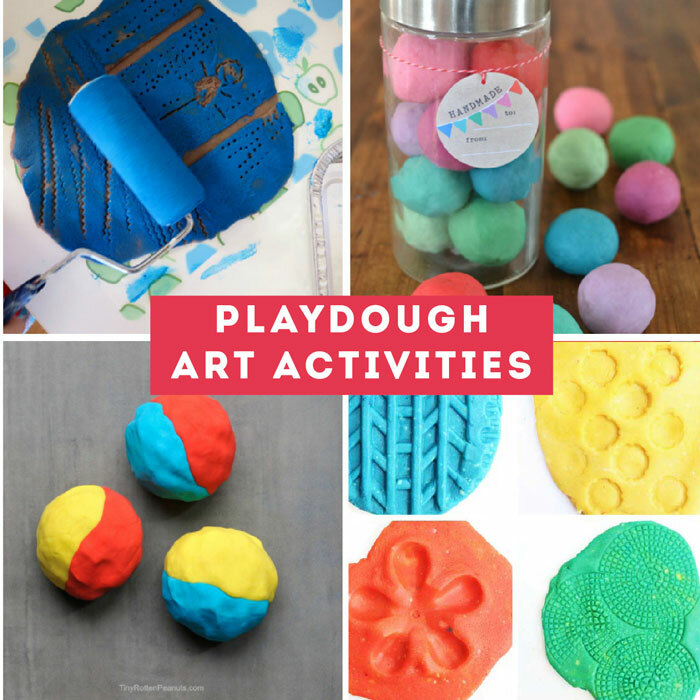 At least from a kid’s perspective… My kids have kept busy with playdough from ages 1-11; it’s always a simple item to bring out when you need a few moments to yourself. Now I want you banish the i.e. 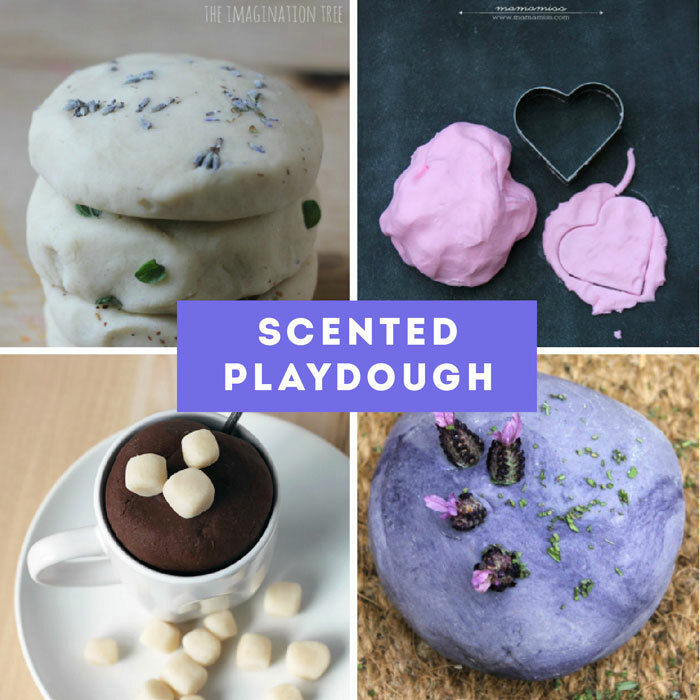 of store-bought dough, yes, it does come in handy but if you need a LOT of play dough or don’t have time to run to the store then keep the recipe below handy, you can whip ups batch of homemade dough in no time using simple kitchen ingredients. 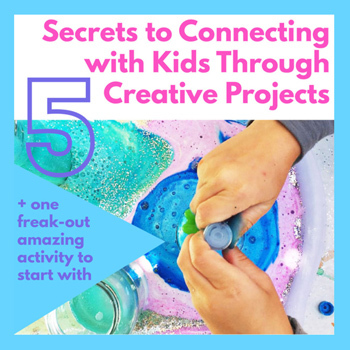 And after I show you how to make it I’ve created a guide to all the amazing things you can do with it! 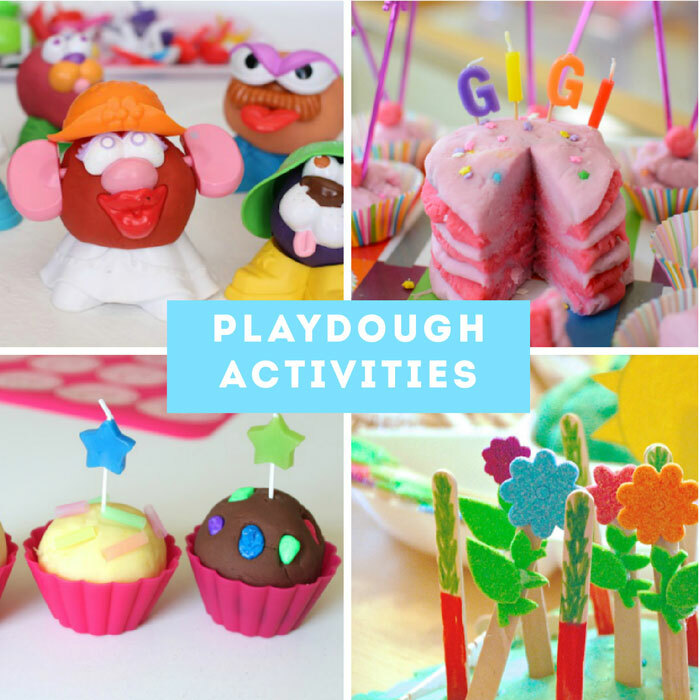 Now before we get started let’s tackle the ongoing debate in the playdough world… to cook or not to cook! To cook or not to cook- it seems everyone has an opinon on this! I think both recipes have their place. 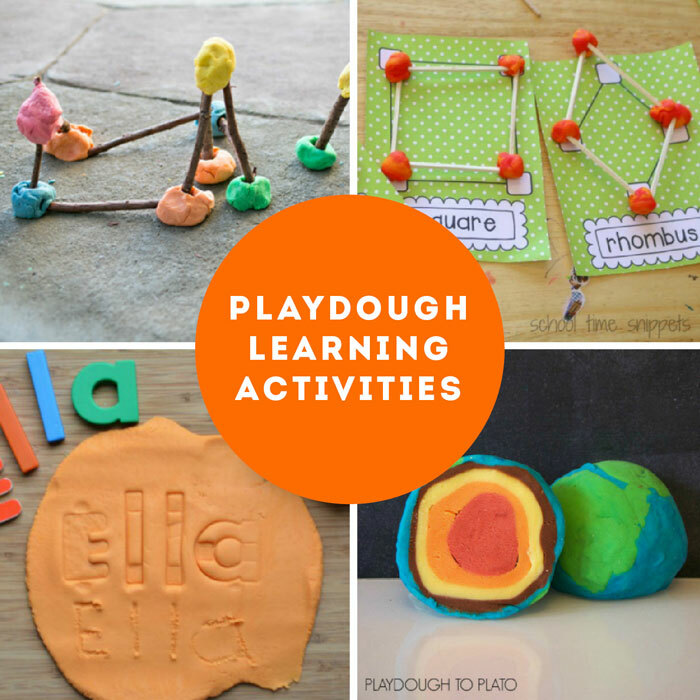 In a nutshell I use the cooked version when I make playdough FOR my kids and the no-cook version when I make playdough WITH my kids. I personally prefer the cooked version because it does not require kneading and takes just 3-4 minutes to cook on the stove. 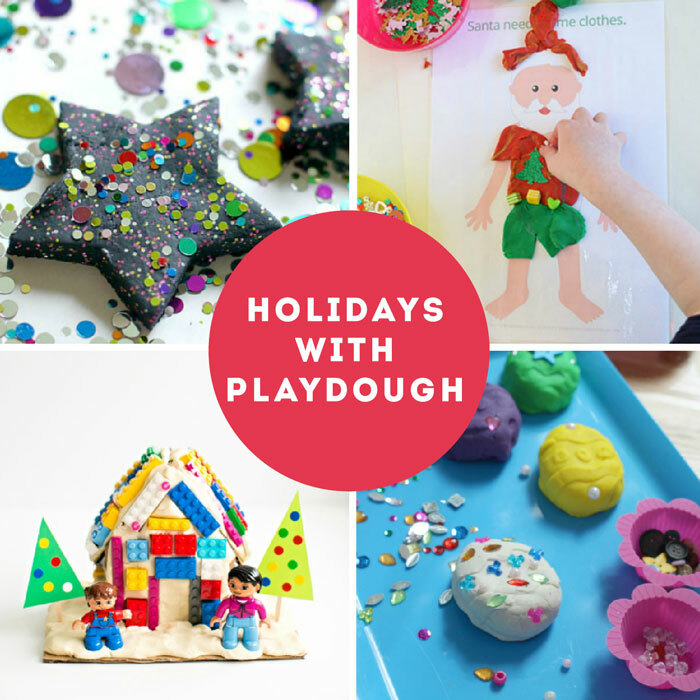 For the BEST no-cook playdough recipe go here. Basic Ratio: 1 parts water and flour to 1/2 part salt. 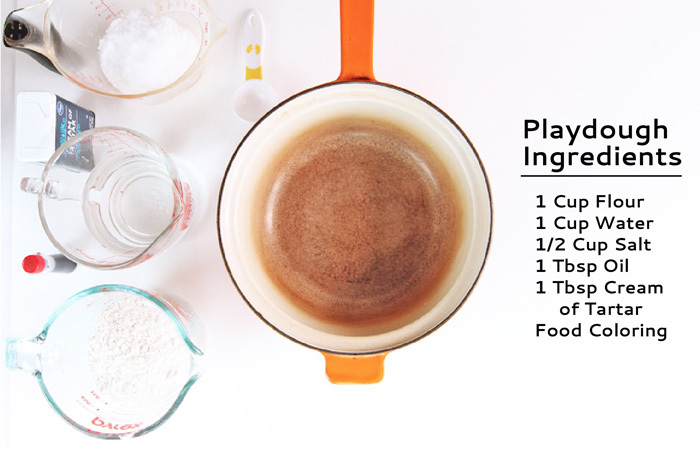 You can scale the recipe up or down using this ratio. Step One Combine all ingredients in a large saucepan. Stir to combine. Step Two Heat saucepan over medium heat stirring constantly. Step Three After about 3-5 minutes the playdough should start to form a solid mass. Once it pulls away from the sides of the pan and forms a ball, it is ready. Step Four Remove the pan from heat, place the dough into a large bowl and let cool. Store the dough in an airtight container. We have stored ours successfully for months. Do not omit Cream of Tartar! 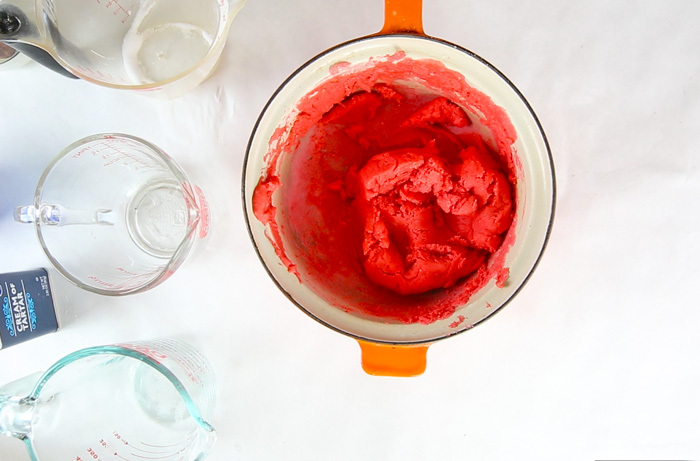 Cream of Tartar keeps your playdough pliable and fresh. 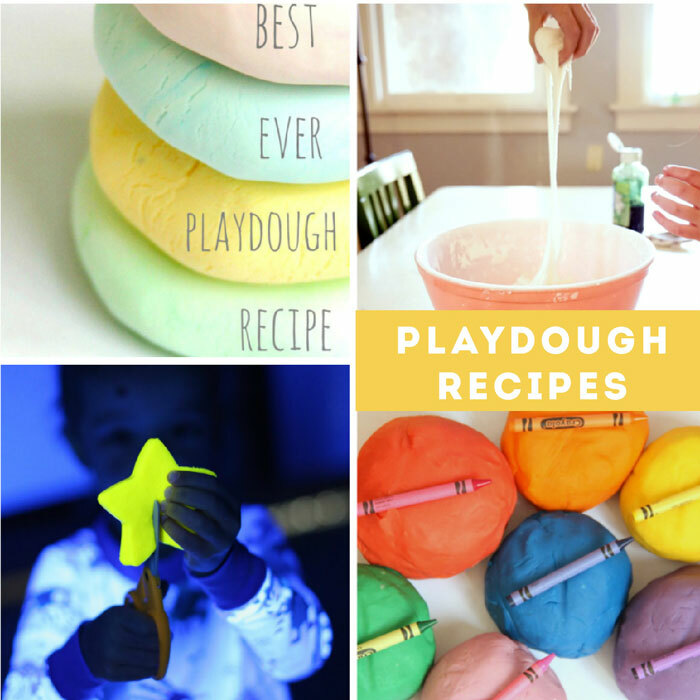 Without it your playdough will turn to mush overnight. You can purchase Cream of Tartar in the spices section of the grocery store. When to color If you are making one or two batches of colored play dough, I recommend adding the color to the mix before cooking. 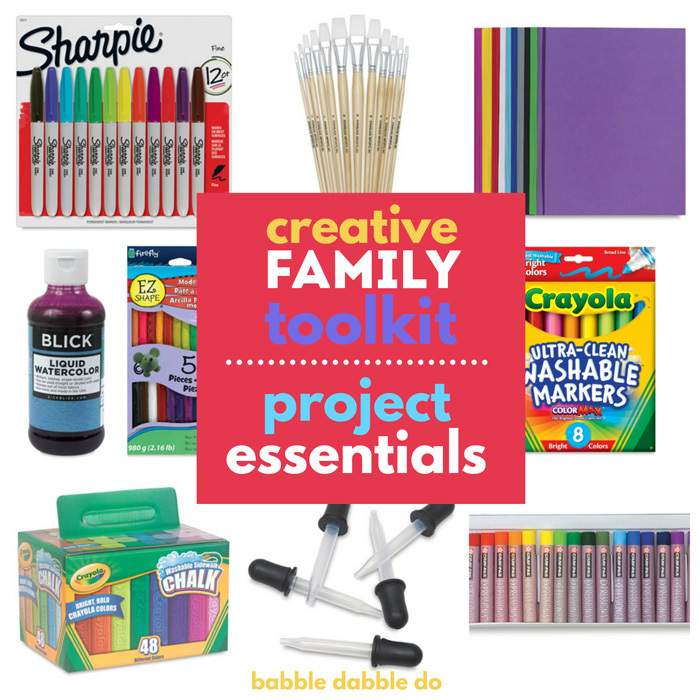 It will easily combine and create vivid evenly mixed color. 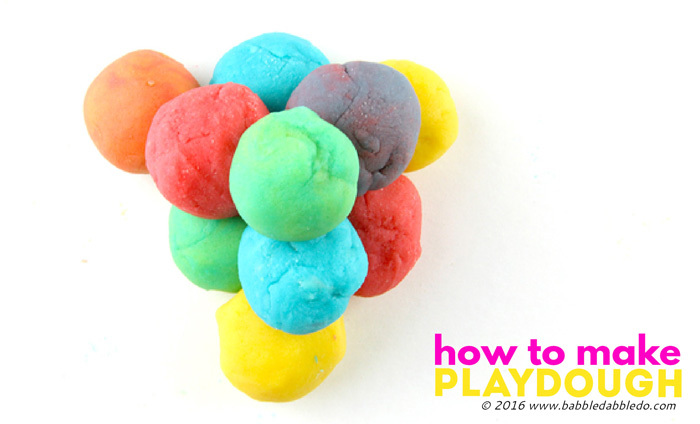 Multiple Colors If you are planning to make a number of different colors, consider making a large batch of uncolored playdough, dividing that into chunks and then adding a few drops of food coloring to each batch after it’s cooked. 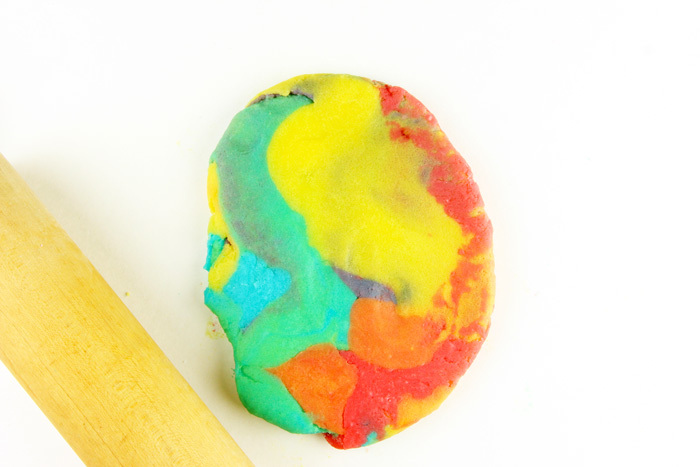 The downside of doing it this way is it will take time to evenly spread the color throughout your dough and the color will end up all over your hands. This is awesome. 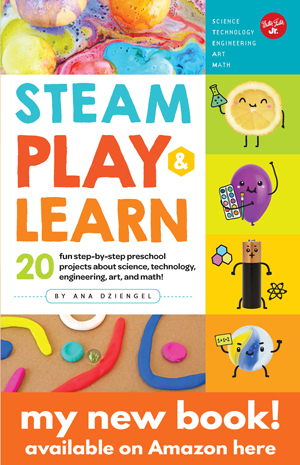 I was looking for homemade kids gift ideas and this is perfect. Great site.